This is probably one of my favorite diapers in this hop. I received this diaper a few weeks ago and so far I'm totally in love with it. 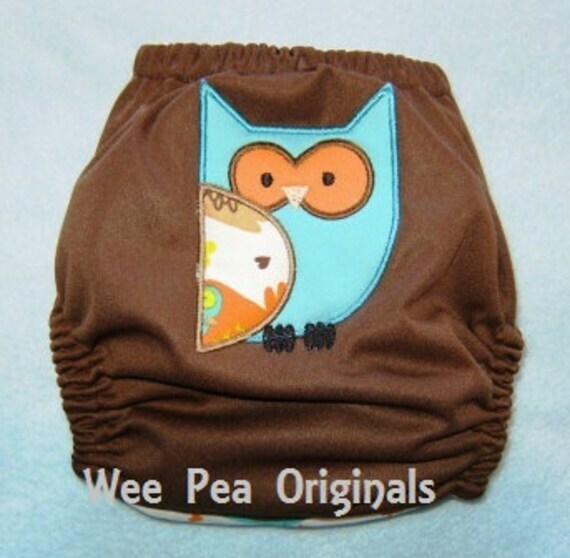 We got it from Wee Pea Originals (I LOVE the name). And it's been amazing. She sent me a diaper and 3 flannel wipes! 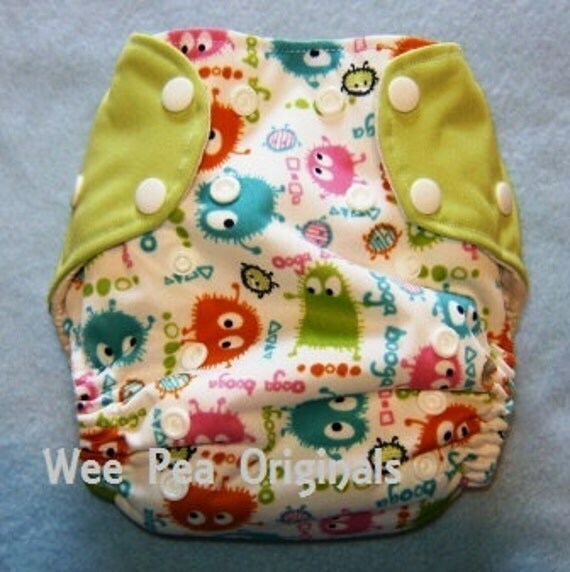 2 inserts, that snap together, or separate for a newborn or larger baby. He's so weird. He has to wear shoes ALL THE TIME!! I love the embroidered dog on the back! Adorable! This diaper is just simply amazing! It's an AI2, so it has a waterproof layer of PUL. The inner layer is an Organic Bamboo French Terry. The soaker is 5 layers of Organic Bamboo French Terry, Bamboo baby loop Terry and Organic Bamboo Velour on top! It's SO absorbent it's ridiculous. I actually only need 1 insert with Emerson. We don't use cloth at night (because of yeast issues) so I never need both inserts. But I'm convinced this would last all night with no issues. I love her embroidery and that dog is just so darn cute!! He couldn't be any cuter, honestly! The diaper washes well and is super absorbent so really, you can't ask for anything more in a diaper. They come in velcro or snaps and she has some ADORABLE diapers available. Price: These are $32, but $29 without embroidery. Honestly it's a bit much, BUT it's SO worth it! This diaper makes up for it and then some.